Yahoo-owned Koprol, the one time Foursquare-rival based out of Indonesia, has completed a 360-degree journey back to its founders, after the US-based Web giant agreed to return ownership of the name, domain and all associated intellectual property and trademarks, according to local tech blog Daily Social. The move represents a change of heart from Yahoo which, just last month, announced that it would close the service for good in August, bringing months of speculation about Koprol’s future to an end. Now, with Koprol set to transfer over to Barito Labs — a new company headed by Koprol founders Satya Witoelar, Fajar Budiprasetyo, and Daniel Armanto — the service will remain active, much to the relief of anxious fans of the check-in service who had taken to Twitter with a #savekoprol hashtag. In addition, team has also set up Ice House, a software development startup that has financial backing from Palo Alt-based private investment firm Pacific Technology Partners. Ice House aims to be “the dream workplace for local engineers” in Indonesia, as the founders look to move on from (and indeed with) Koprol, following their exits from Yahoo. While it is unfortunate that Koprol as we know it could not be kept alive, we respect Yahoo’s business decision and we thank them for the admirable gesture of handing us the Koprol name. This shows their support and commitment to the local internet community. We wish the best for our friends in Yahoo. 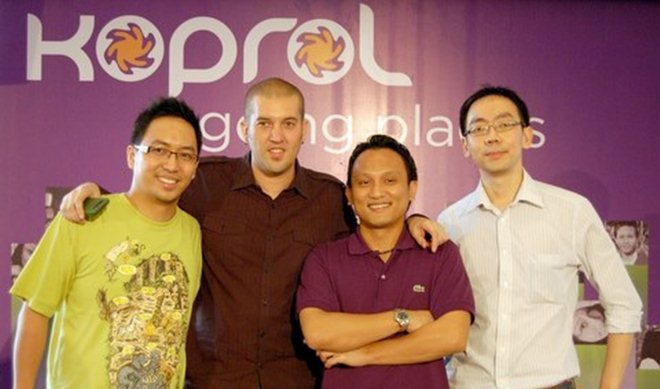 Despite being offloaded by Yahoo, Koprol is Indonesia’s biggest startup success story to date, having been bought up by the Web giant in 2010 for an undisclosed sum. We had a feeling that something was up with the company after Witoelar politely declined our previous request for comment in June, and it will be interesting to see how things develop from here out. The team was close to implementing plans for a revised ‘Koprol 2.0’ service before Yahoo’s axe fell, and it seems certain that a new experience, likely focusing around local networks, will come soon. More immediately, however, Witoelar will have to deal with the fact that the entire development team was let go as part of Yahoo restructuring. What remains unclear, is exactly how much that Yahoo invested in Koprol (both including the acquisition price and other funding) – it’s certainly strange to see all that given away some two years later.